The 2018 Ohio Sheep Day is scheduled at OARDC Sheep Research Unit, Eastern Agriculture Research Station (EARS), location of the Ohio’s Appalachian counties sheep research being conducted at The Ohio State University. 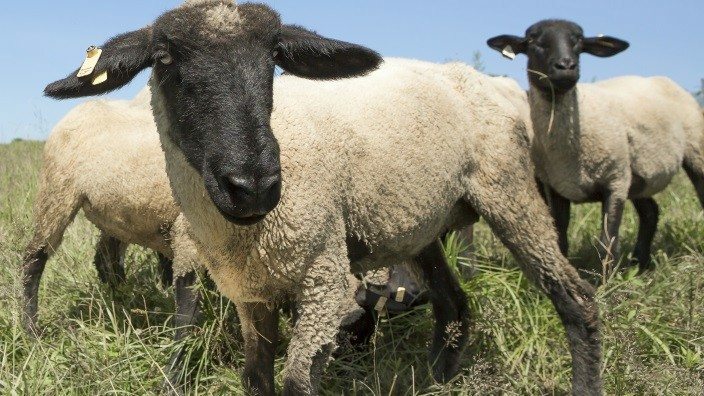 Ohio Sheep Day will offer visitors the opportunity to visit a successful sheep farming operation dedicated to commercial sheep production in a profitable way. Sheep farmers and anyone interested in sheep management and production is invited to attend. A lamb luncheon is included as part of registration and no pre-registration is required. The OARDC – EARS Sheep Research Unit hosts a commercial sheep operation concentrating its efforts on the sheep research involving many aspects of sheep production and management in the Appalachian area of Ohio. This year will once again focus on programming, which will increase and improve the productivity and profitability of sheep and other small ruminant operations. A trade show will also take place at the event, where attendees may visit and purchase supplies and equipment. A new addition to the program is an area for children ages 4-8 that includes a play and educational area. Parents can attend the Ohio Sheep Day and their young children will be cared for during that time period. Cost: $15 – for Ohio Sheep Improvement Association members. $25 for non-OSIA members. OSIA membership are available for purchase at registration. The Ohio Sheep Improvement Association, Ohio Sheep and Wool Program, OSU Sheep Team, Ohio State University Extension, Ohio Agricultural Research and Development Center, Ohio Farm Bureau Federation, Monroe and Noble County Farm Bureaus, Ohio State University Animal Sciences Department, and the American Sheep Industry are the major sponsors of Ohio Sheep Day. Contact information: Roger A. High, 614-246-8299, [email protected] or your county ANR Extension Educator.